Broken display, broken case, or completely destroyed device: these are all nightmare scenarios for smartphone and tablet users. 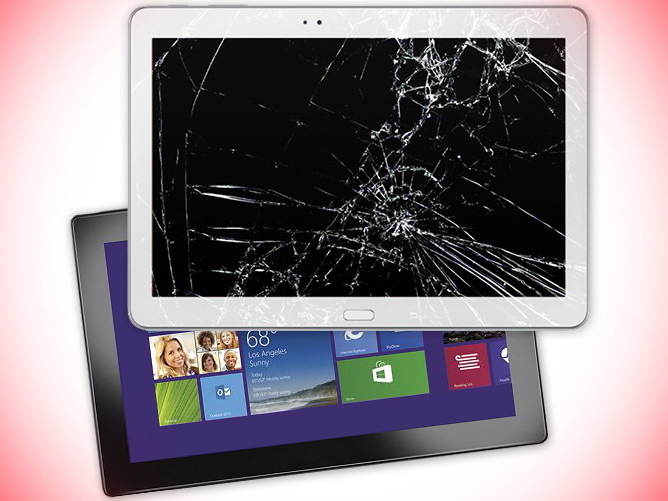 A detailed drop test compares 10 modern tablets to see which is more durable. SquareTrade, an extended warranty service provider for smartphones, tablets, and other consumer electronics, recently revealed the results of an extensive durability test. Ten current-generation tablets have been dropped in every way imaginable and even submerged under water to find out just how durable they really are. 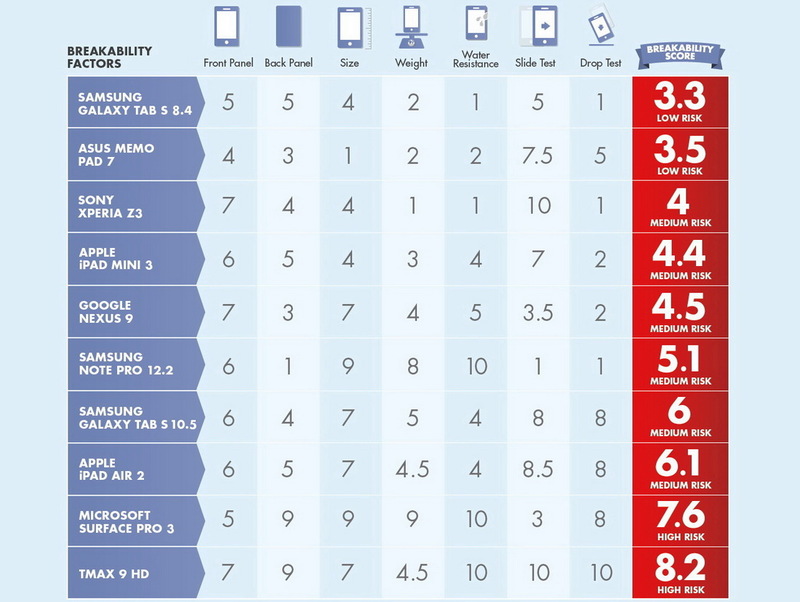 The ten tablets tested for durability are the Apple iPad Air 2, the iPad Mini 3, the Asus MeMO Pad, the Google Nexus 9, the Microsoft Surface Pro 3, the Samsung Galaxy Tab S 8.4, the Galaxy Tab S 10.5, the Galaxy Note Pro 12.2, the Sony Xperia Z3 Tablet Compact, and the Tmax 9 HD. 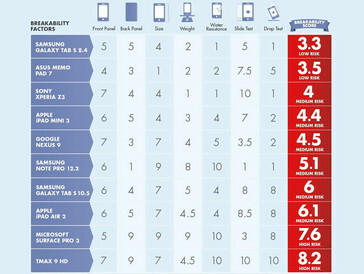 As expected, larger and heavier tablets don't fare very well in drop tests. That's why the Microsoft Surface Pro 3 or the Tmax 9 HD are much more susceptible to damage if dropped compared to more compact devices such as the Asus MeMO Pad 7. The most robust and toughest tablet out of the 10 devices mentioned above is the Samsung Galaxy Tab S 8.4. 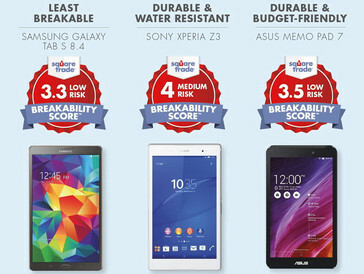 In the test performed by SquareTrade, the Tab S 8.4 obtained a "breakability score" of 3.3 and is classified as displaying a "Low Risk" of breaking. Interestingly, one of the cheapest tablets in the list, the Asus MeMO Pad 7, is also the second less likely to break after the Galaxy Tab S 8.4, with a breakability score of 3.5. 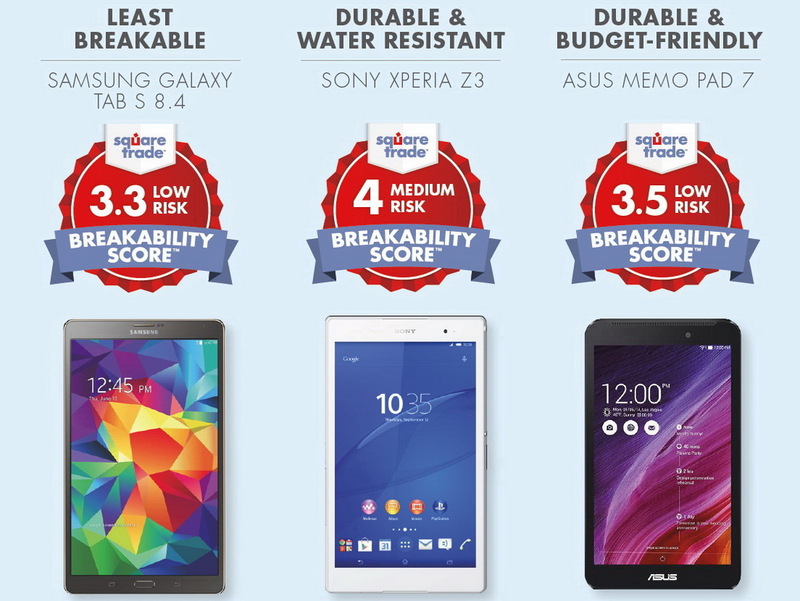 Another durable and resistant tablet is the dust and waterproof Xperia Z3 Tablet Compact, one that SquareTrade classifies at "Medium Risk" with a breakability score of 4. More details on how each of the tablet performed can be found in the following photos.